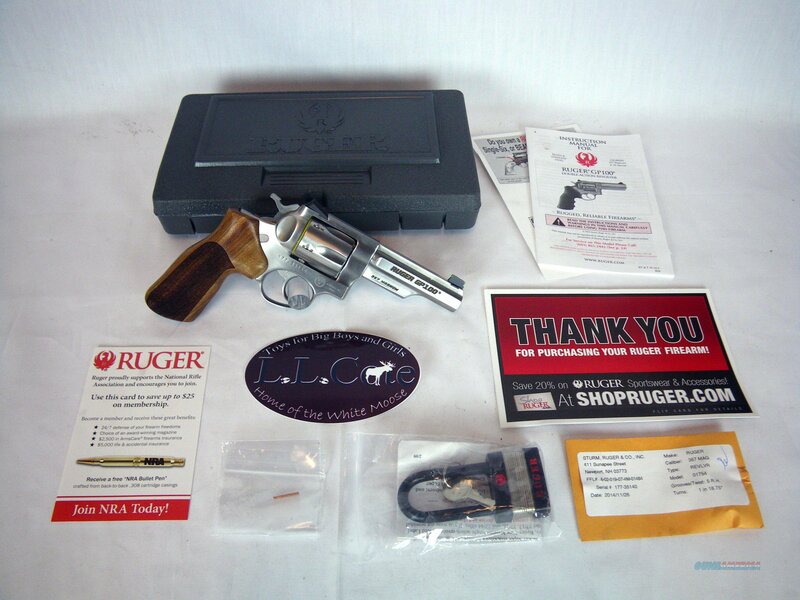 Description: You are buying a new Ruger GP100 revolver in 357 Mag with a 4.2" barrel. This revolver has a durable stainless steel finish and beautiful wood grip. This revolver comes with fixed sights. Displayed images are stock photos. Any questions please feel free to ask (our phone number is in the additional information tab above).